It’s not always possible to measure the ways in which the parish and people of The Church of the Good Shepherd give of our time and our talents and our treasures in order to serve as the Hands of Christ to a world in need. But we can tally up the treasures part, and it is extraordinary. In 2017, parishioners gave $18,810 in special collections for ministries from Harvest Hope Food Bank to Hannah House, from Sistercare to the victims of natural disasters. To put that in perspective, two years ago, outreach efforts had to be cut from our budget and we asked everyone to step up their personal commitment to helping fund these ministries in our community, and the total came to $14,156 in special collections. But the Vestry was able to restore funding for outside ministries a year ago — yet individual giving in 2017 exceeded 2016. That $18,810 given in 2017 is on top of the $13,500 in outreach efforts in our budget – and all of the volunteer efforts we can’t put a dollar figure on. *In January, we sent $985 to Providence Presbyterian Church for the Bethany’s Gift Outreach Ministry, in memory of our own Bethany Martin. * In January, the youth of the parish cooked soup and sold it for the Souper Bowl of Caring, raising $700 for Harvest Hope Food Bank. * In February, the Vestry served a pre-Lenten Pancake Brunch that raised $585 for Harvest Hope Food Bank. *In March, participants in our evening Lenten Programs gave a love offering of $460 to our speaker, Fr Thomas Moore of Holy Apostles Church, which he designated for the Orthodox Church’s outreach to displaced people in Syria. *In March, we donated $725 for worldwide ministries though the Episcopal Church Women’s spring United Thank Offering. 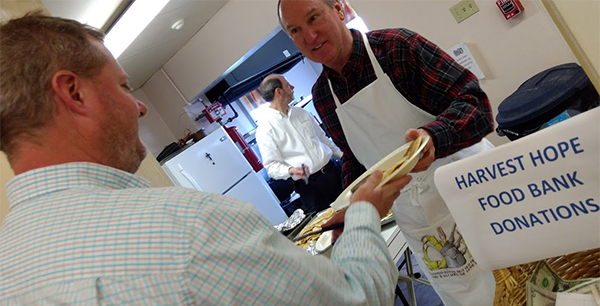 *In April, volunteers donated fish and fried fish for our Lenten fish fry, which generated $600 to help with the costs of our annual mission work trip to Valle Crucis. * We gave $1,000 to the diocese’s Camp AIR reading program in three designated offerings in April and May. * In June, five adults and two youths from Good Shepherd donated a week of their time to participate in our annual mission work trip to Appalachia. *From Mother’s Day through Father’s Day, we filled baby bottles with our pocket change, generating $640 in change for Birthright of Columbia. *In August, the members of St. Bridget’s Guild supplied all the school-age children at Hannah House with school .supplies. * In September, we donated $1,325 for Episcopal Relief and Development to assist the victims of Hurricane Harvey, $1,550 to assist the victims of Hurricane Irma and $1,600 to assist the victims of Hurricane Maria and the Mexico City earthquake. *In October, we donated $400 for worldwide ministries though the Episcopal Church Women’s fall United Thank Offering. *In November, we donated $415 to York Place from our Thanksgiving offering. 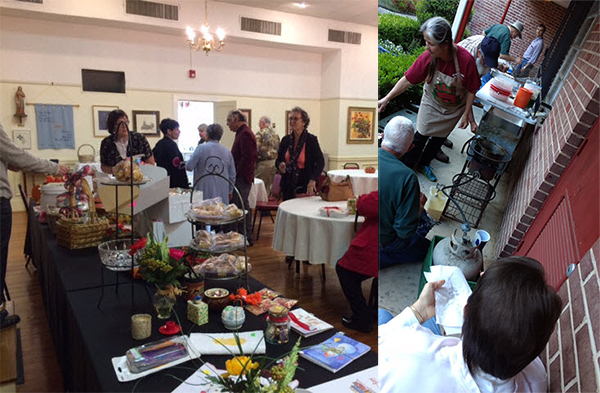 *In November, volunteers baked all sorts of goodies for the Episcopal Church Women’s Holiday Bake Sale, which raised $750. The ECW donated $650 to Sistercare and the other $100 to Fr Lyon’s discretionary fund. 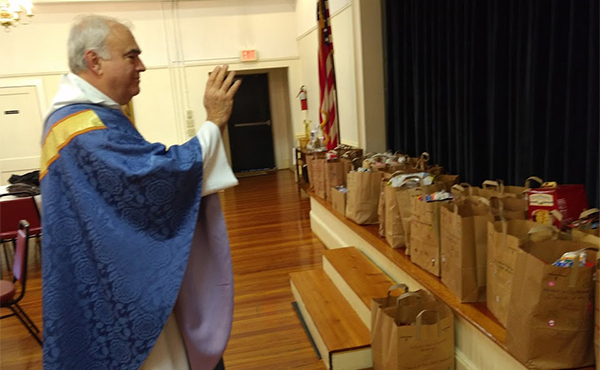 *In December, as part of our Advent observation, parishioners gathered more than 800 pounds of food for Advent food bags to help with Christmas dinner preparations and delivered them to Harvest Hope. 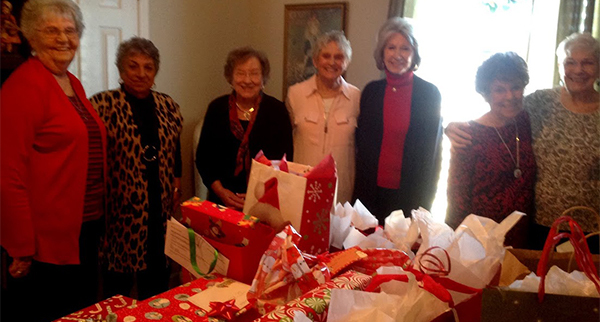 *In December, members of St. Bridget’s guild bought Christmas presents for all of the children, mothers and single women at Hannah House. *Every month, members of St. Bridget’s Guild donated aluminum foil and trash bags to Hannah House. They also facilitate donations of clothing and shoes from other parishioners. *We donated $920 to the Salvation Army through several offerings. *Every Sunday, we collected food for Harvest Hope. *Every Sunday, we brought in our aluminum cans, which were sold and the proceeds ($110) given to the Heifer Project. And through our operating budget, we donated $10,500 to local charities through our operating budget, $1,000 to Fr Lyon’s seminary, Seabury- Western Theological Seminary and a total of $2,000 to people who came to our parish in need of help.